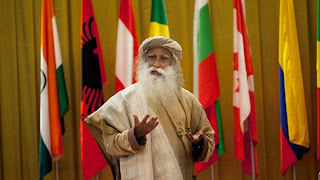 On 7 February 2015, the Supreme Council for India will hold its Annual Grand Festival. The event will take place in the morning and in evening. 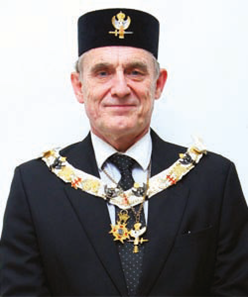 Sovereign Grand Commander Stephen John Hindes 33° will confer the 30° Degree to some Brethren in the morning and during the evening will be receiving foreign delegations, after which there will be a banquet. The 5th Annual Grand Festival of the AASR Supreme Council for India will be hosted this year in Hyderabad, the capital of the southern Indian state of Telangana and de jure capital of Andhra Pradesh. Established in 1591 by Muhammad Quli Qutb Shah, Hyderabad remained under the rule of the Qutb Shahi dynasty for nearly a century before the Mughals captured the region. In 1724, Mughal viceroy Asif Jah I declared his sovereignty and created his own dynasty, also known as the Nizams of Hyderabad. The Hyderabad State ultimately became a princely state during British rule, and remained so for 150 years, with the city serving as its capital. The city continued as capital of a new Hyderabad State after joining the Indian Union in 1948 and before attaining its current status as the focal point of Andhra Pradesh in 1956. In 2014, Andhra Pradesh state was bifurcated and the city became the capital and part of the newly formed Telangana state, sharing the status of joint capital along with the Andhra Pradesh for the period of ten years from then.